If you’ve worn a pair of our shoes, chances are you found them rather wonderful (the gents at Tyrwhitt HQ certainly do). A Tyrwhitt shoe is superbly comfortable and seriously stylish, and it will look marvellous wear after wear. So what’s the secret to creating exceptional men’s shoes? 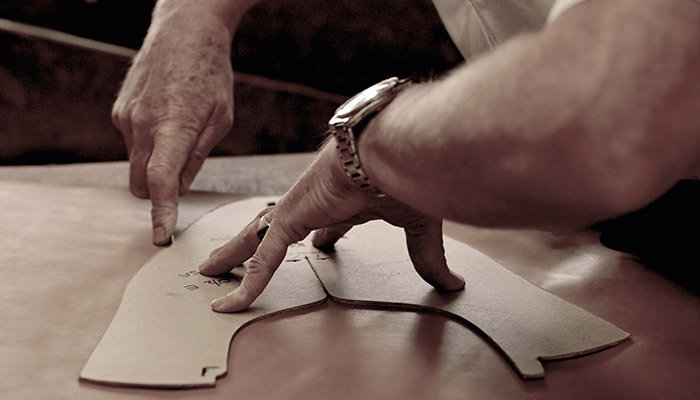 We work with shoemakers in Northamptonshire to create the finest English leather shoes. The Northamptonshire countryside has three important ingredients for shoemaking: lush fields for grazing cattle, oak bark and charcoal for tanning leather, and plenty of good clean water for washing hides. Northamptonshire is internationally renowned for its magnificent Made in England men’s shoes, with a history that dates all the way back to the 15th century. The biggest shoemaking town in this county is Northampton. Early shoemakers there passed down their skills through the generations, teaching their children creative techniques and inspiring them with a passion for the art of shoemaking. By 1650, the shoemaking industry was well established there, and over the next three centuries, the town became the largest producer of English-made leather shoes and the benchmark for other manufacturers. Today, Northamptonshire shoemakers have embraced machinery. Most men’s shoes are made in factories, but many of the shoemaking tasks are still performed by hand. 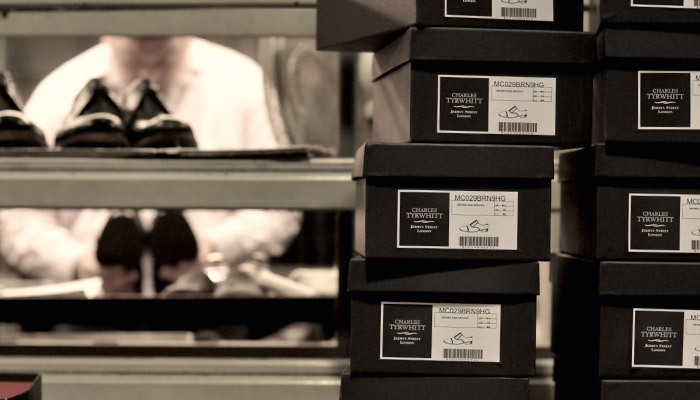 The Northampton tradition of craftsmanship continues into the 21st century, and our suppliers employ shoemakers who have worked in the shoe industry for generations. 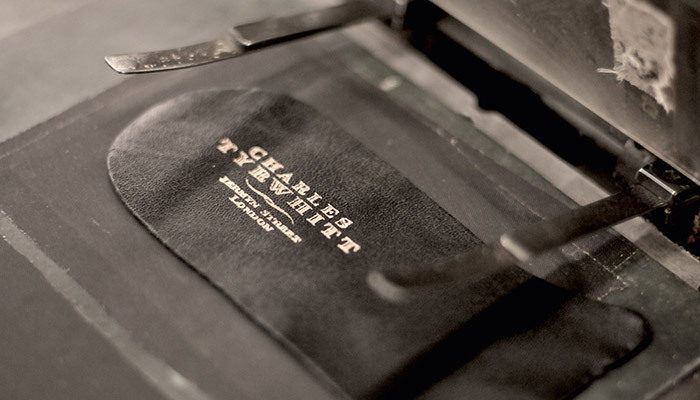 This means that over 100 years of knowledge, skill and pride goes into every pair of Charles Tyrwhitt leather shoes. Rome wasn’t built in a day, and neither is a pair of fine men’s leather shoes. 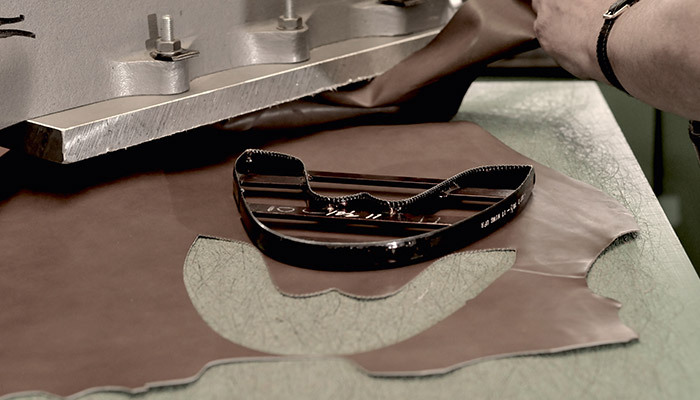 Every pair of our welted shoes involves up to 200 tasks performed by 120 highly skilled people. 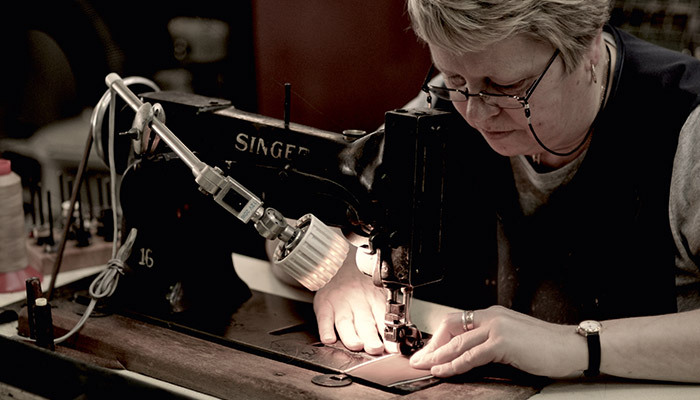 The whole process can take up to eight weeks, with some steps completed by hand. 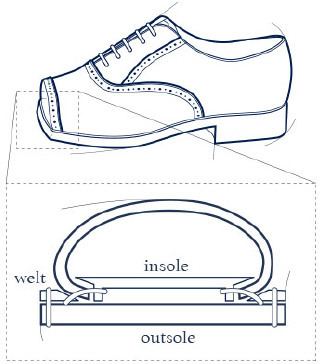 To construct our welted shoes, we use a special method called the Goodyear Welted method. It’s more time-consuming and costly than other construction methods, but the end result is worthwhile. The Goodyear Welted method involves sewing a strip of leather (known as “the Goodyear Welt”) to the upper and insole of the shoe. The sole is then stitched on through the welt, resulting in a leather shoe that is stronger, more durable, and more weather-proof. This method of construction is favoured by English manufacturers, so we think we’re on to something rather special here. After construction, all our men’s shoes are inspected, cleaned and polished by hand and stamped with the iconic Charles Tyrwhitt Jermyn Street logo. The finished shoes are then packaged up in handsome blue boxes, ready to be sent to customers. What makes our men’s shoes exceptional? We use premium leather that is supple and long-lasting to bring you a shoe that is hardwearing and luxurious. 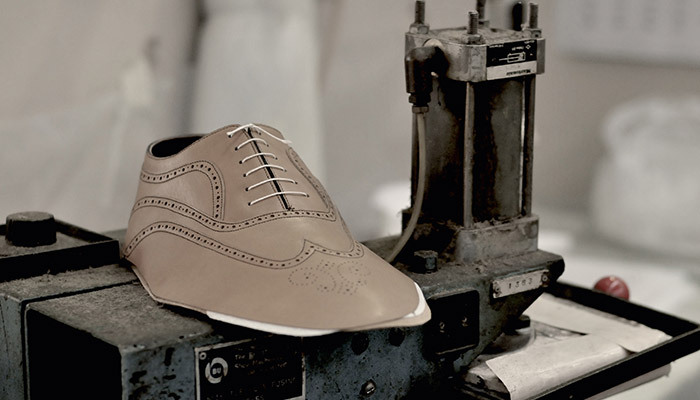 All our welted and blake stitched shoes have leather insoles to provide maximum comfort. A leather insole makes the shoe more breathable and prevents the foot from overheating. Our shoes have reinforced uppers to help retain their shape and prevent stretching. This means your Charles Tyrwhitt shoes are built to last and won’t distort with age. Because we use the traditional Goodyear Welt stitch method, our shoes have incredible strength, durability and water resistance. The soles are made using hard-wearing premium leather non slip-rubber. We also add cork filler in our welted soles to put a little extra spring in your step.